Equipped with 360-hinge, can be switched among four versatile modes, including tablet, laptop, stand and tent modes. Powered by Intel Cherry Trail X5-Z8350 processor, ensures high performance. Unleash creativity with its expansive IPS touch screen, stylish design and great flexibility. Want to be notified when the Teclast Tbook 10 S 2 in 1 Tablet PC with Stylus gets even cheaper? Make sure you snag the best price by entering your email below. We'll email you when the price drops, free! We're tracking the price of the Teclast Tbook 10 S 2 in 1 Tablet PC with Stylus every day so you know if that deal is really a steal! Check back for to check the best price for this product - and whether its current sale price is really the cheapest it's been! 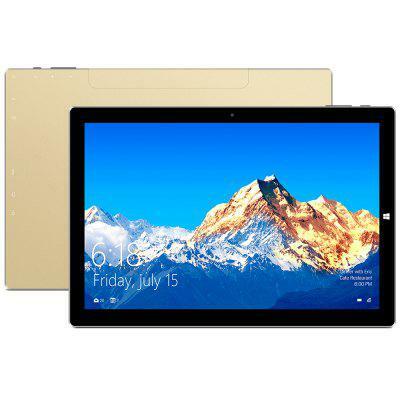 No Teclast Tbook 10 S 2 in 1 Tablet PC with Stylus coupons found!